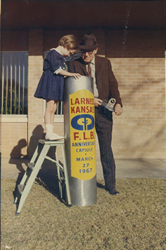 Linda Unruh helps bury the Farm Credit 50th anniversary time capsule in Larned, Kansas in 1967. I’m pleased to see the forecasts from 50 years ago were accurate, and I’m confident the next 50 years will be even more productive for the Farm Credit System and rural America. In 2016, Farm Credit is commemorating its 100th year serving agriculture and rural communities. 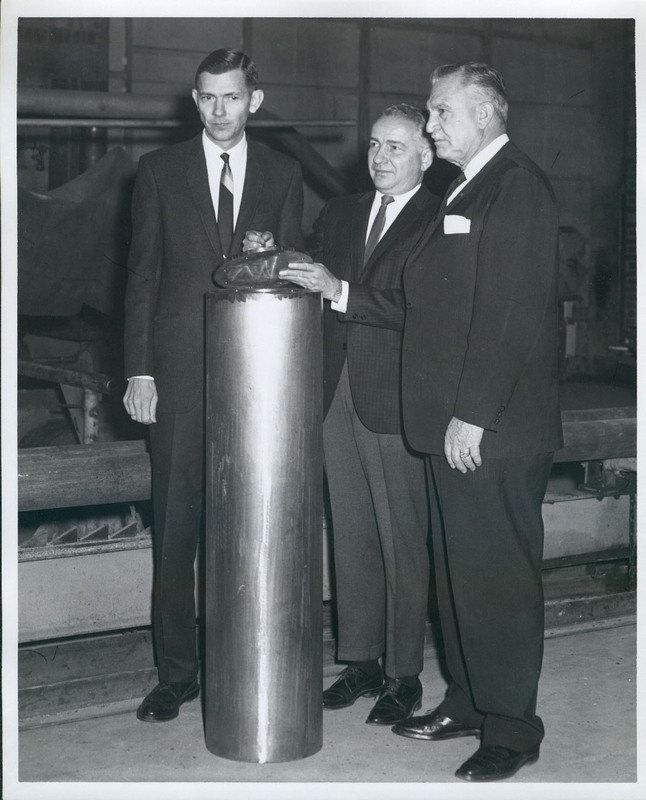 As a U.S. Representative from Kansas’ Big First congressional district, Mr. Dole was present that day in March 1967 when the time capsule was buried, during the 50th anniversary celebration where 10,000 people gathered for a parade to mark the occasion. Technological Advances – “Remote control by either man or computer will be used in field work rather extensively. Later this year, Farm Credit will assemble and bury a new time capsule in Wichita, Kansas, to be opened at the 150th anniversary of Farm Credit. Farm Credit supports rural communities and agriculture with reliable, consistent credit and financial services, today and tomorrow. Farm Credit has been fulfilling this mission for a century by providing farmers with the capital they need to make their businesses successful and by financing vital infrastructure and communication services that rural communities need to create jobs and drive economic growth. For more information about Farm Credit please visit farmcredit.com.